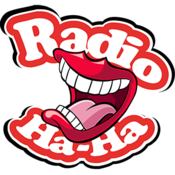 For this week's show we revisited some of the best bits from the last few months with guests including: - Chris & Rosie Ramsey - Adam Rowe - Zoe Lyons - Steve Edge - Sarah Millican - John Bishop - Rob Brydon - Stephen Merchant - Allyson June Smith Jason Manford, one of the UK's most loved comedians, is on Absolute Radio every Sunday from 8am. If that sounds a bit early on a Sunday for you, then catch the best bits of Jason's show on this handy podcast. Jason Manford was live from Aberdeen for today's show with co-host Lauren Mitchell, chatting about... 1 - Cinema = an excuse for icecream, right? 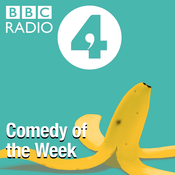 2 - The Juice Diet (Do not try at home) 3 - Reasons you DIDN'T go on a second date 4 - Caller Dominic shares his tale of woe from a date in Vietnam gone wrong 5 - What phrase / word did you invent? 6 - The Whizz Bang 7 - It's not a "proper plane"
The brilliant Alex Horne from The Horne Section and Taskmaster pops in to discuss his brand new tour, shortest time spent in a job and the time he and Jason went skiing. 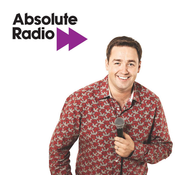 Jason Manford, one of the UK's most loved comedians, is on Absolute Radio every Sunday from 8am. If that sounds a bit early on a Sunday for you, then catch the best bits of Jason's show on this handy podcast. Topics of the day... 1. Some people's earlobes are attached to their face. 2. By Wednesday I'd still smell of a whopper. 3. Patrick Vieira smells like lemons 4. When you flip it perfectly and then it lands on the rim - pancakes, obviously 5. The Uber Menu 6. The medical spit roast 7. It was so loud it woke up 3 babies. 8. Kids vs Adults nightmares: Scary monsters vs poor management decisions.